The Watauga office of North Carolina Cooperative Extension and the NC State Extension Master Gardeners of Watauga County are pleased to announce that their annual fruit plant sale is now underway. We will be selling heirloom apples, blueberries, raspberries, thornless blackberries, grapes, strawberries, and asparagus. All plant varieties are selected for their hardiness, disease resistance and other qualities, based on recommendations from NC State specialists and multiple other research-based university publications. Proceeds from the sales will benefit horticultural programming and Master Gardener community projects. 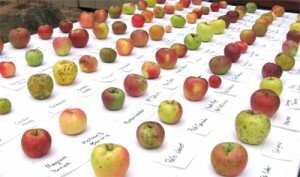 Fourteen varieties of hard to find heirloom apples will be sold. These are the old time varieties that were an integral part of every local farm, but are no longer commercially available. What is special about these trees is that they are grafted on a semi-dwarf rootstock. The way this works is, two plants are joined together to get the best qualities of each. The top part is from heirloom apples of yesteryear that offer such great flavors and versatility of use. The roots are from a tree that only gets 15-20 ft. at maturity, so this keeps the tree smaller and more manageable. 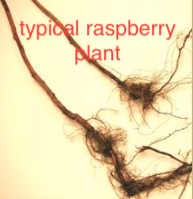 This rootstock also gives the tree resistance to certain root diseases. Trees will be 2-year-old bare root plants, about 4-5 feet tall, that are ready to plant in the orchard. It will take about 4-5 years until significant fruit production. Six different varieties of 2-year-old blueberry plants will be sold in 1 gallon containers. You can should plant two to three different varieties for increased production. 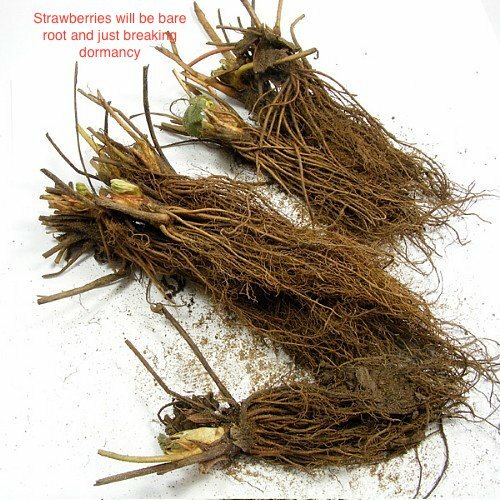 Strawberry, blackberry, raspberry, grape, and asparagus plants will be sold as bare root plants, which means they do not come potted in soil. This is an effective way to start new plants early in the season and allows the plant to be sold at a lower cost. The root system will need to be kept moist and should be planted as soon as possible. Due to this, we are unable to guarantee the quality of the plants after the pickup date. Order forms and plant descriptions are available at our office and also attached to this article. Orders must be placed and prepaid no later than Friday March 29th. Apple trees were custom grafted for us in the summer of 2017, so are available in limited quantities on a first come, first served basis, sometimes making it necessary to ask you if you will take a substitution. Orders can be dropped off at or mailed to our office, located at 971 W. King St, Boone, 28607. Checks should be made payable to Watauga NCCES. Pickup of your pre-ordered plants will be on Friday, April 12th from 12 p.m. to 6 p.m. and Saturday, April 13th from 9 a.m. to 12 p.m. See the links below for the order form and plant descriptions.